On arrival, Friday is shocked to discover the respectable school is actually a hotbed of crime. She’s soon investigating everything from disappearing homework to the Yeti running around the school swamp. 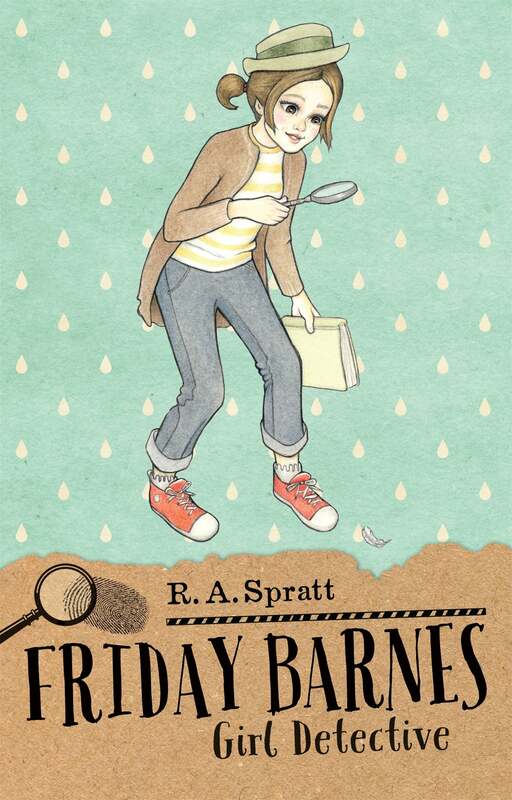 That’s when she’s not dealing with her own problem – Ian Wainscott, the handsomest boy in school, who inexplicably hates Friday and loves nasty pranks. R.A. Spratt is an award-winning author and television writer. She lives in Bowral with her husband and two daughters. Like Friday Barnes, she enjoys wearing a silly hat. 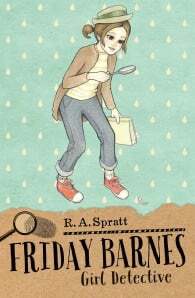 Spratt has two chickens and five goldfish, and her next-door-neighbour's cat thinks it lives in her house.